Does Backlink Anchor Text Affect Search Rankings? SEO (search engine optimization) rules and tactics affect every single website on the internet, whether the site administrators realize it or not. 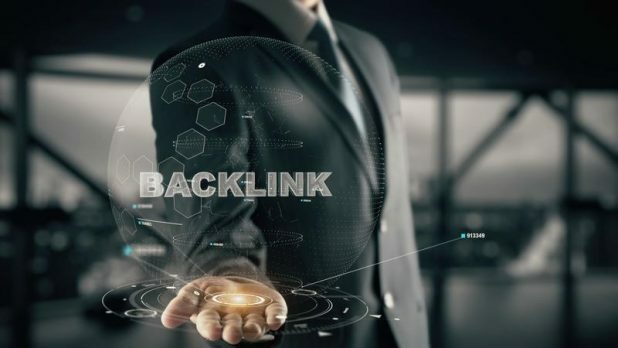 One of the factors that are an area of concern for many is the issue of how backlink anchor text affects a web page’s rankings in search engine results. Does it play a part at all? Before exploring the impact anchor text has on search result rankings can be explored, it’s important to understand a little more about anchor text in general. Essentially, anchor text is comprised of the words you see highlighted on a web page that link back to another website or a different page within that same website. The target link is the actual web address, while the anchor text is the word or phrase visible to the web page reader. The words you choose to use as your anchor text are important, because search engines will evaluate how those words reflect the linked page. For this reason, it’s vital to ensure your backlink anchor text is both relevant and useful in relation to the page to which you’re linking. Exact match: This involves using text that precisely mirrors the keyword of the page to which you’re linking. Partial match: Linking to a page using text closely associated with the keyword or keyword phrase on that page. 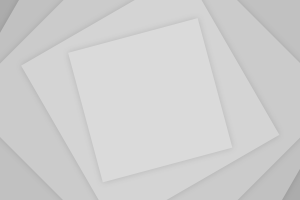 Naked link: You’re using the URL as the backlink anchor text. Generic: Random words or phrases, such as “click here,” as anchor text. Images: When images are used, search engines search the file information and use that as anchor text. What is the Best Anchor Text to Use? Taking this information into consideration, many people are left wondering what type of anchor text is best to use. While some SEO experts suggest that exact keyword matches are ideal, this may not always be the case. SEMrush’s research suggests that keyword-rich anchor text is somewhat correlated to high organic search rankings–but not strongly correlated. So, while a full or partial keyword match may be helpful, other text may be just as effective in scoring high with Google and other search engines. In the most general terms, the ideal backlink anchor text will serve two purposes. First, it must be relevant to the topic of the page to which it links. This doesn’t necessarily mean you have to use the keyword phrase from that page, but it does mean that “click here” or “visit this page” won’t be good enough. If you’re linking to a page that sells golf equipment, your backlink anchor text should indicate that this is what that page is about. Secondly, the anchor text should make website visitors want to click that link. When the anchor text isn’t inspiring users to visit that link, it’s going to affect how the page is ranked in search engine results. For that reason, it’s just as important to make the anchor text interesting as it is to make it relevant and useful. One of the most important things to consider is how diverse your anchor text is in comparison to anchor text for other links on that page. Using the same or similar anchor text phrases can be just as damaging as using generic terms. Use different types of anchor text and try variations on the topics or keywords. While an exact keyword phrase match can boost your search results ranking, it can sometimes harm your ranking. To use exact keyword phrases, try to limit the number of words you use. Keeping the anchor text succinct can help add value to the link and improve rankings. Google is more critical of guest post profile pages and blog comments, so it’s better to avoid using exact keyword phrase matches here. Instead, try one of the other types of anchor texts available and reserve an exact keyword match for linking to a specific and informative post. Google will often view this as spam, especially if it’s done frequently. Link back to another page on your website only when it’s absolutely necessary and, when it is, avoid using exact or partial keyword matches. Look for other methods of using diverse anchor text that would come off appearing spammy within the context of the page. While it’s important to make sure your anchor text is relevant to the page you’re linking to, it’s also important to ensure that page is relevant to your blog post. Taking the example mentioned previously, if your blog post is about golfing, don’t link back to a page about baseball or poker. This will be viewed as spam by the algorithm that Google and other search engines use to rank pages. Additionally, be sure to link back to reputable websites. Even if the page discusses topics related to golf, if it’s a page on a spammy website, this can adversely affect your own search result ranking. Just like in high school, it’s still important to use credible sources. The short answer is yes, backlink anchor text does impact search engine results, which makes it important to give more thought to the text you use. By using a variety of types of anchor text and thinking up diverse text to use, you can improve the quality of your posts and the credibility search engines give to each one of your pages. Making your anchor text both relevant and interesting may be more important than strictly adhering to the use of exact keywords. By using a higher quality of backlink anchor text, Google will rank you higher and give your website more credibility.